Actor Kamal Haasan is all set to officially launch his party Makkal Needhi Maiam (MNM) in Puducherry today. The actor turned politician is expected to brief the media after the launch event which will take place in the party head office in Chennai. "After almost a year of Makkal Needhi Maiam party's journey with the people, Makkal Needhi Maiam is happy to announce its launch in the Puducherry Union Territory. 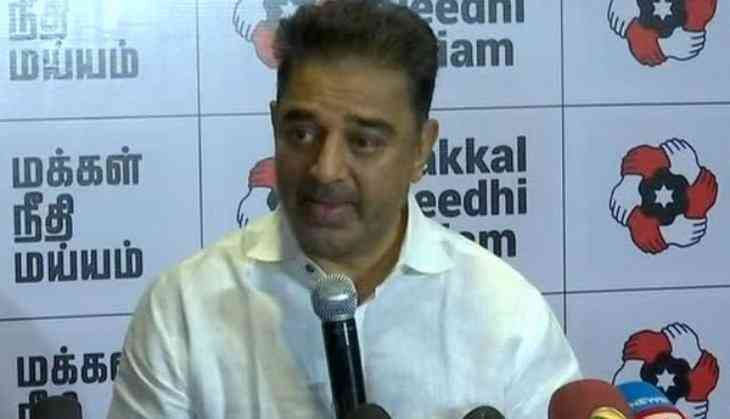 Following the launch, Makkal Needhi Maiam party president Mr Kamal Haasan will address the media," read a circular issued by the party on Tuesday. MNM was launched by Kamal Haasan on February 21, 2018 from his hometown of Rameswaram. As part of the launch of his political party, Kamal Haasan toured Tamil Nadu extensively to interact with locals in different villages of the state. Last month, he had said that he would contest the Lok Sabha elections this year. He had also said that the MNM was open to forming a single-minded alliance in the parliamentary elections.